I make rosaries. My Facebook fan page says “I make wizards” because that’s how my son describes my writing. 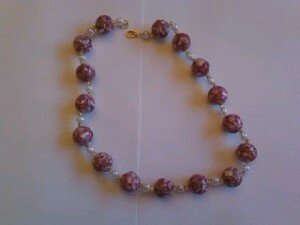 However, I make rosaries, too. As a convert to Catholicism, there’s something appealing to me about the feel of the beads in my hands as I pray but also the feel as I have to slow down to connect the beads together into a string that will help someone focus their prayers. I love looking at beads and envisioning them as a rosary. Recently, I found an online supplier for beads and I ordered an assortment to have and possibly make more rosaries with them. Turns out the beads were way too big for that, but they were lovely, so I decided to try my hand at making necklaces. At this time, our finances are not what we’d like them to be, but then whose are? So, I thought maybe I’d try my hand at putting some of the necklaces I made on Etsy.com so I started my own shop. So far, I haven’t sold anything, but it’s still pretty new. The thing is, I’m really new at all this. 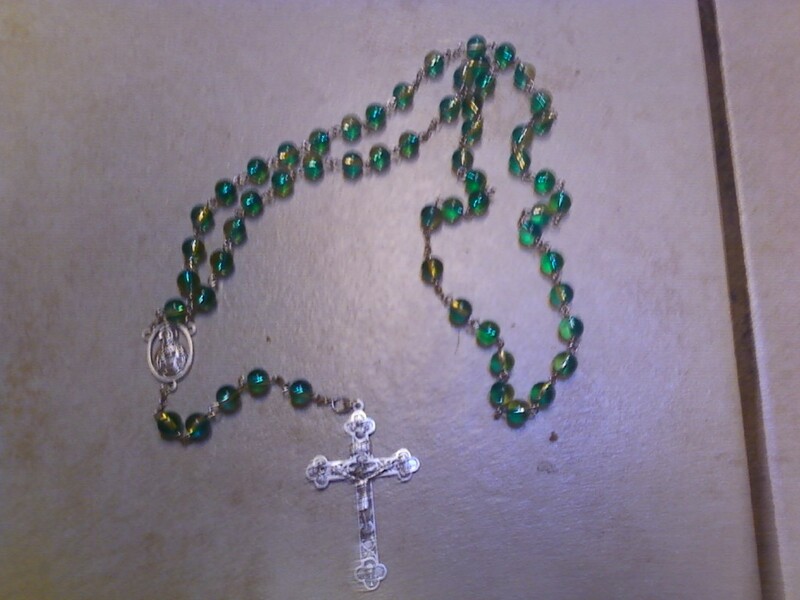 I taught myself how to make rosaries by reading instructions online. The same with the jewelry. In fact, last night, my daughter was home and she wanted to take the blue necklace I’d made for her back to her apartment so she could wear it today. As she was walking through the kitchen, the clasp on one end of the string came off and we had little beads all over the kitchen floor. I have to figure out a better way of finishing off the ends. Probably other jewelry makers already know this, but again, I’m still learning, and I guess that’s a good thing. It’s the same with writing. I just finished editing a book for Crescent Moon Press, and when I went back to working on my own stuff, I found some of the same mistakes I found in the editing. The point is, we all have things we need to learn and things we need to get better at. And that’s a good thing. I think if we stop learning, we stop living. Do we get more patient as we get older?